The past year, Xamarin has been working hard on their new product suite, Xamarin 2.0. Their awesome product suite for cross platform mobile development with C#, consisting of MonoTouch for iOS, Mono for Android and Xamarin.Mac, based on the MonoDevelop IDE has been completely revamped and rebranded. 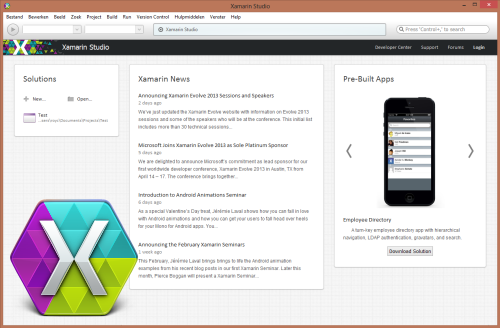 Say hello to Xamarin Studio, Xamarin.iOS, Xamarin.Android and Xamarin.Mac! This is a more integrated, modern and gorgeous looking version of their delightful tool suite. Along with this release, Xamarin also made it possible to develop iOS apps on Windows using Visual Studio! Wow! You can develop and compile apps in Visual Studio and, with a remote debugger, debug your apps on a Mac running Apple’s iOS Simulator. This means that you still need a Mac for finishing the app, and also for designing your XIB files, but this is a huge improvement, making it possible for your Visual Studio devs to open and compile your iOS apps. This is very useful e.g. when you do bugfixes in shared code and will ease the workflow of devs working on Windows Phone, Android and iOS apps at the same time. Being an Apple fanboy, I still prefer to use my Mac for iOS development though. Xamarin took care of that as well, with a fantastic new version of Xamarin Studio for Mac. As a bonus, Xamarin released a Component Store on their Developer Center, which makes it easy to discover and incorporate 3rd party libaries into your mobile apps, and provides a great market place for developers to publish their library. Even Microsoft has published a component for integration with their Azure Mobile Services! This release also features an attractive new pricing model. First of all, there is now a free Starter edition! This version makes it possible for small independent developers and students to build and release small apps. The Starter edition is limited to a maximum package size and cannot do P/Invoke, but it’s an awesome way to get on your way building mobile apps with C#! Next, there’s an Indie version for individual developers, attractively priced at $299 per platform (e.g. iOS and Android are two platforms). For organizations, there are Business and Enterprise editions that enable full fledged, unlimited apps, Visual Studio development and full support. There’s a nice comparison on the Xamarin website. I’ve been test driving this release for a while now and I can say that this is a great achievement and big step forward in productivity, integration and developer delight. You can try it yourself here. UPDATE: Nic Wise (@fastchicken on Twitter) has a nice blog post detailing more changes in Xamarin 2.0. Click here! I want to congratulate the Xamarin team on reaching this milestone! 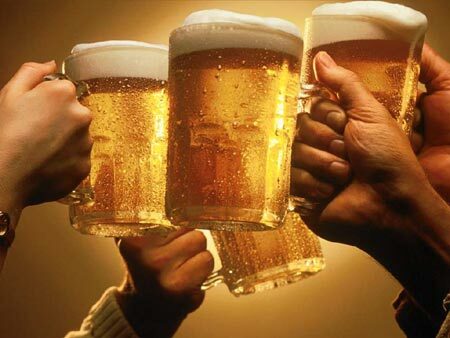 Here’s to many great projects using your tools! I can’t wait to show this off at the Evolve conference in April.